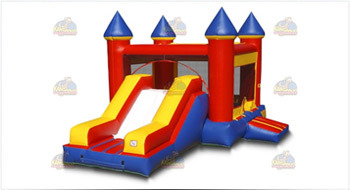 Welcome to Fox Cities Party Rental in Appleton, Wisconsin. 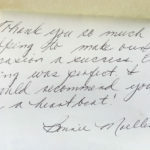 Established in 1998 we’ve helped thousands of customers throughout Northeast Wisconsin with their special events over the last 20 years. 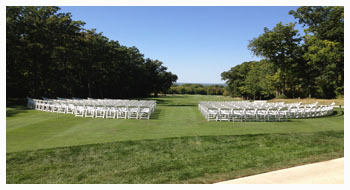 From formal wedding ceremonies and receptions, corporate & nonprofit events, festivals, concerts or just a backyard party, we have the equipment and service to make your event great. 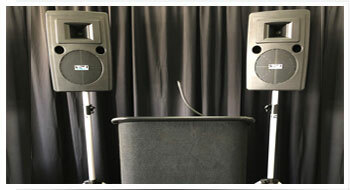 We discuss your initial ideas, help you calculate space needs and the different equipment options available to you. We offer a wide variety of high quality, well maintained equipment including high peak wedding tents, high peak frame tents, party and festival tents, a nice variety of tables and chairs, catering equipment, dance floor, stage- stairs- railing, dinnerware, linen and inflatables. If you don’t see it here – just ask, we just may have it or can give you the referral you’re looking for. Our Northeastern Wisconsin rental service coverage area includes: Greenville, Menasha, Neenah, Oshkosh, Freedom, Green Bay, Ashwaubenon, DePere, Kimberly, Hortonville, New London, Black Creek, Weyauwega, Waupaca, Freemont, Winneconne, Wrightstown, Little Chute, Grand Chute, Fox Crossings, Manitowoc, Brillion, Sherwood, Hilbert, Chilton, New Holstein, Omro, Larsen, Seymour and Stockbridge and all areas in between. We are here to meet your event rental needs and discuss turning your idea into reality. Feel free to call, inquire online, or visit our showroom if you would like to see our rental equipment in person and meet our staff. We encourage appointments, but you are always welcome to pop in. Our office is conveniently located in Appleton just off Hwy 41 at the Ballard Rd exit. 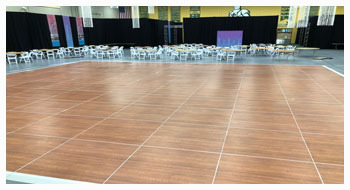 With decades of experience in the event rental business, Fox Cities Party Rental has everything you need to make your event great, including expertise to help you calculate square footage, types of equipment you’ll need, even awesome referrals for things we don’t have – all within your budget. Contact us and let’s start planning your event today. 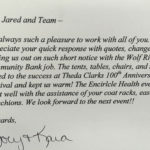 Jared & Staff, Again, great working with you! Thanks for doing such a great job on the Oshkosh B-Gosh event! 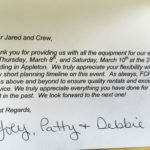 Jared & Team, Thanks for supplying our rental items for all our events these past 2 weeks. 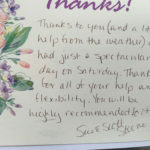 Your staff is very friendly & professional. I look forward to doing more business with you! 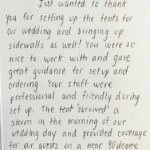 Jared, Andy & Staff Just wanted to thank you for setting up the tents for our wedding and bringing up sidewalls as well! You were so nice to work with and gave great guidance for setup and ordering. 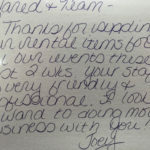 Your staff were professional and friendly during set up. 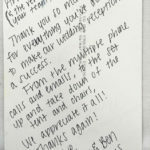 The tent "survived" a storm in the morning of our wedding day and provided coverage for our guests on a near 90 degree day! Quite an adventure!